Whether it be the Allies or the Nazis, all of them did commit a number of war crimes. It is obvious that the losing side was the one that was forced to pay for the crimes it committed. Yes, the atrocities and heinous acts committed by the Nazis deserved severe punishment, as their crimes were much more than you can imagine. It is still to some extent unclear the extent to whether the incidents of WWII were exaggerated or real, but it is the fact that because of Hitler, millions died. There is no worth of human life these days, but it is not something that is new. Similar killings and executions have been carried out in the course of humanity many a times. Although Hitler was an inhuman person, but what about the leader of the Allies who executed most of the captured as being a part of the war crimes. Another fact we need to acknowledge is that if Einstein would have valued his country more, than the outcome of the war would have been much different. With an atomic bomb at their side, Hitler will have never hesitated to use it against the Allies. The reason for which the US used the bomb against Japan was all because Japan was located in Asia and so the effectuations would have never reached the European and American regions. The war crimes I am about to share with you here have been collected from different segments from history. Here are the 5 lesser known heinous war crimes. This war included so many war crimes and acts of in-humanism that mentioning just one of them would not be enough. It is a war that gulped nearly 60 to 90 % of the population living in the area. The enemy against which Paraguay fought included Brazil, Argentina and the Uruguay militants. Around 300,000 or more people had been killed as a result of this brutality. Known as the Pontic Genocide and one of the darkest moments in history, this massacre was directed against all those who were Greek. This act had been carried out to free the region from the presence of Greeks. Around 353,000 pontic Greeks had been annihilated as a result of this heinous act. It is to be noticed here that Muslims should never be the only ones to be termed as terrorists, as terrorism exists in every community and country. This massacre was carried out by the former Soviet Union as a planned attack to eliminate the best military personnel of Poland. It is one of those Stalinist crimes that would never be forgotten. All Russians were not Stalinists, just like all Germans were not Nazis. But it is to be remembered that this crime is nothing less than the one carried out by the Nazis. Now here we have an example of the one of the most deadly and prejudicial ethnic cleansing in history. The Visegrad genocide resulted from the split of Yugoslavia. According to an estimate thousands and thousands of civilians including women and children were murdered in it. The act was executed by the Serb Place and the so called Military forces of the Serbs. The targeted population consisted only of Muslims. In all, the World War II is itself the biggest war crime in history. As a result of the war, more than 50 million lost their lives. Although Russia managed to beat Germany in the end, but still the losses incurred to the countries have not been recovered till now. The same holds true for Japan which became the victim of a deliberate atomic bomb. Although Japan is now the 3rd strongest economy in the world, but still the horrors of the bombings haunt the residents of Hiroshima and Nagasaki. Even today, children are born in the area with various physical deformities and abnormalities. 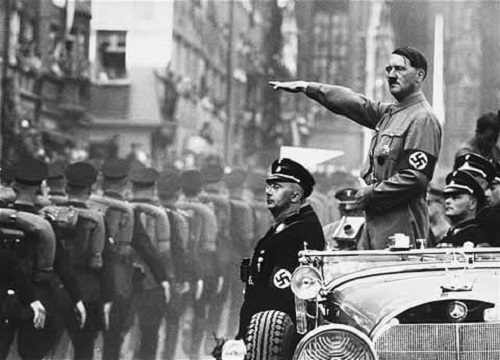 Not to forget the crimes of the mad man, Adolf Hitler who is the cause of this all. His fascist views resulted in only the downfall of the country. Germany will never be able to raise its head up in front of the strongest nations in the world, especially after what happened to it in the WWII. So, WWII is indeed one the most heinous war crime in the history of humanity.